Here is a link to a previous discussion on the topic. Sue, I think everyone who has ever had to fire kilns has done that! I wrecked almost all the work I intended to take to my interview for Art College and had to start again from scratch. Over the years, teaching, I became adept at replacing burnt out elements and repairing insulation bricks. I'm just trying to ensure you don't get lazy or complacent in your southey superiority, Wagxit. The great advantage of using Buller's Rings or Seger cones is that they are a direct indication of the heat work done and show the effect over time on the ceramic materials. A pyrometer that just measures temperature doesn't show that. An experienced potter can also make a pretty accurate estimate of the temperature inside a kiln from the interior colour. Well at least you admit to it being superior!! Yes aimed at you. "Southey superiority ". To quote another Southerner, 'frankly my dear, I don't give a damn'. A united frontal attack now is it. Where is Ado when I need her? Not been called a potter for a long while. I can think of plenty of other names for you two conjoined twins. i haven't really kept in touch with this thread heh. and it was over a year ago i started it i see... ok well.. i've been fighting my garden over the last couple of days, so it's topical again. well i got the greenhouse pretty much built. spent ages doing the block base, as everything here is on a slope i did 2 courses at one end, and one at the other, and going round it with a level was like trying to figure out an escher drawing at times, but i got it. long story short, got it built, didn't finish glazing it because i was missing some of the glass, was too late in the year to plant in it anyway.. and then recently, one of the storms finished it off. it was like it exploded. glass everywhere. frame is pretty bent in places, and yeah.. it's a bit of a disheartening mess at the moment. but i've ordered more than enough polycarbonate sheets to do the whole thing, so it's on its last chance now. when they arrive, i'm going to have to figure out how to bend the frame back and reattach everything, then.. hopefully.. if i get it all done, it'll stay together. the whole garden up there is quite exposed, so it will get a lot of wind. and i think it's because there was bits missing that the wind kind of got in and blew it all out. so hopefully.. if i get it all done right, it'll hold. 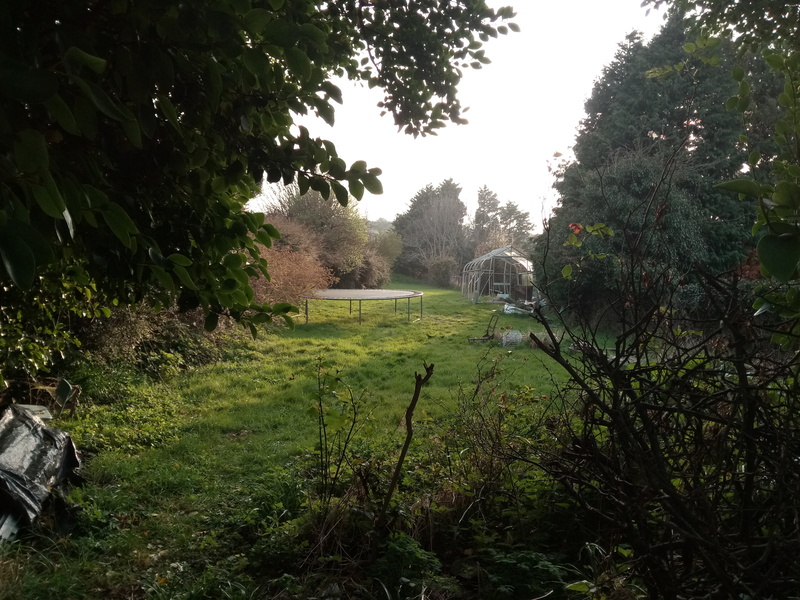 lately though i've been working on clearing a section of the garden. which has me rapidly creating piles of garden waste. bits of trees, loads of hedging, hawthorn, all that sort of stuff. 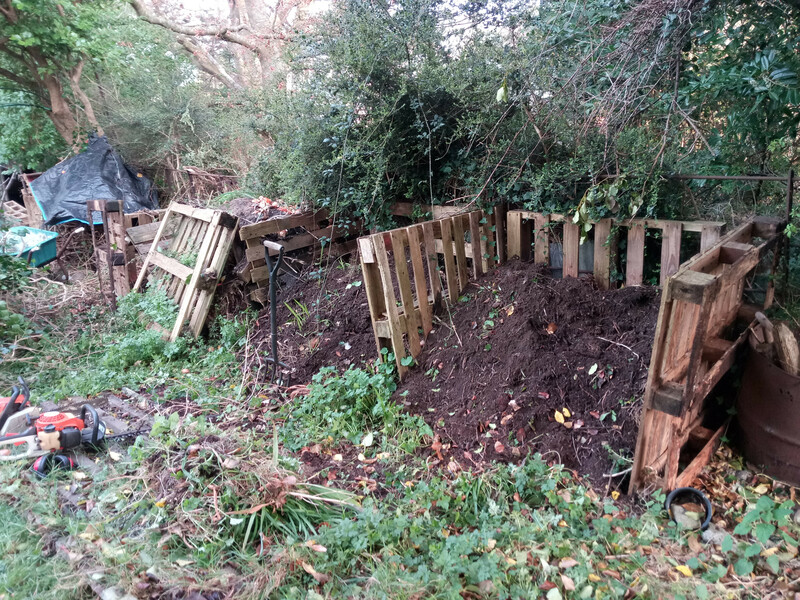 this is going to be an ongoing situation in this garden of mine, so i really need to establish a good long term, fairly large scale composting system, just to reduce the size of the waste if not to create compost. so for the last couple of days i've been using my shredder.. and it's a pretty slow and tedious task, using it. 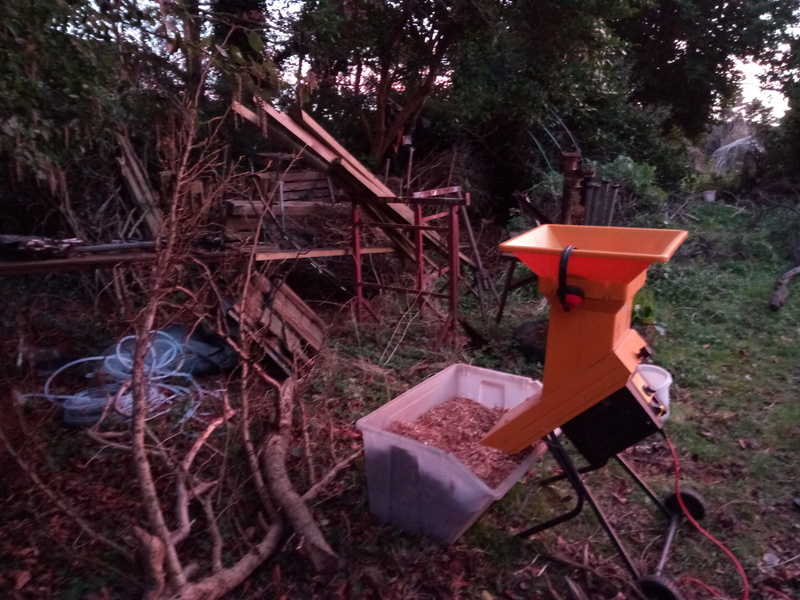 if the plan in the long term is to shred waste (and it seems like a good solution) then i'm going to need to step up the power of my shredder i think. the one i have is 2500w, one of these (alko dynamic micro shredder).. does well in reviews, but it's not meaty enough for me i think. i'm not really asking questions here, or looking for help, i'm just babbling . and i might try to turn this thread into a log of sorts.. if i start doing that, it should encourage me to keep trying to progress it. 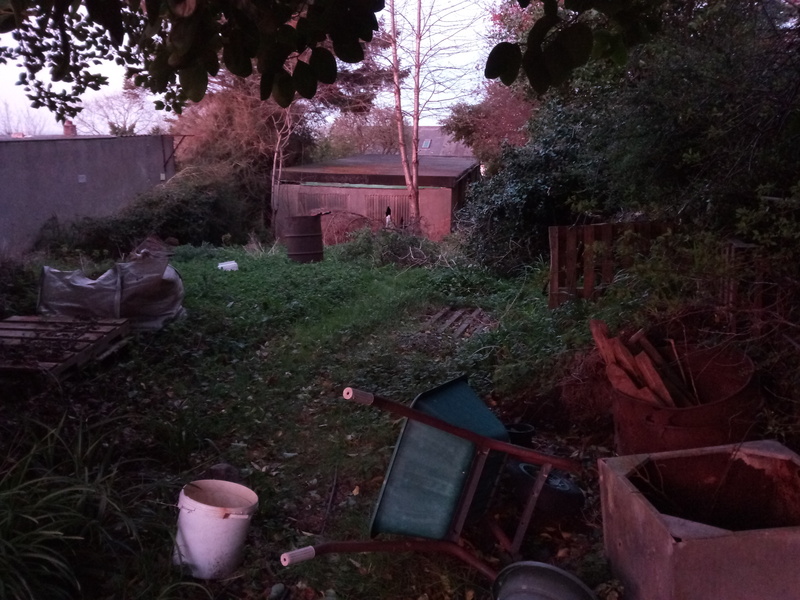 the section of the garden i'm starting to clear, i want to put a shed there, and setup a new chicken area. don't have chickens at the moment, but i really miss them, so haveing had some in another section of the garden for 2 years, i think they'd fit better here, and this bit of the garden is a bit weird so i've never really figured out what else to do with it. 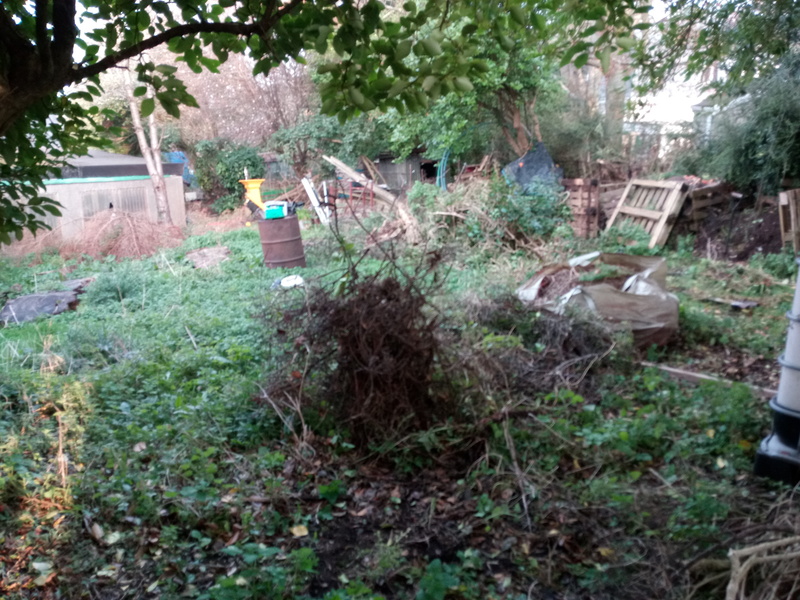 i'm also clearing it because the neighbour wants to fit a big retaining fence between us, and i agree, so if i cut back all the hedge and stuff on his side, hopefully can get that done soonish. then i'm good to go with the shed and chickens. sorry.. bit dazed right now and as i said, babbling. 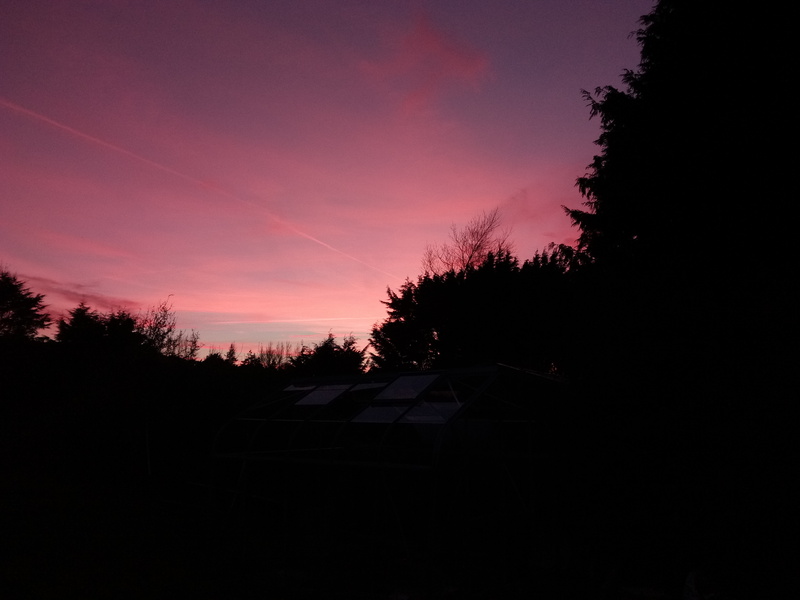 here's some pics from today, and then some from yesterday evening's nice sunset. i'll do the yesterday ones in another post actually..
ugh.. why don't image links work..
edit: ok, images working. when others are uploaded, i'll put them here. boom. Hello again and welcome back! Yikes, your poor greenhouse. It is probably because there were panes of glass missing that the wind did so much damage. Some years back the catch went on my greenhouse door, the wind blew it open and blew out several panes of glass on just one side. I am not sure polycarbonate is the answer. Is it flexible? 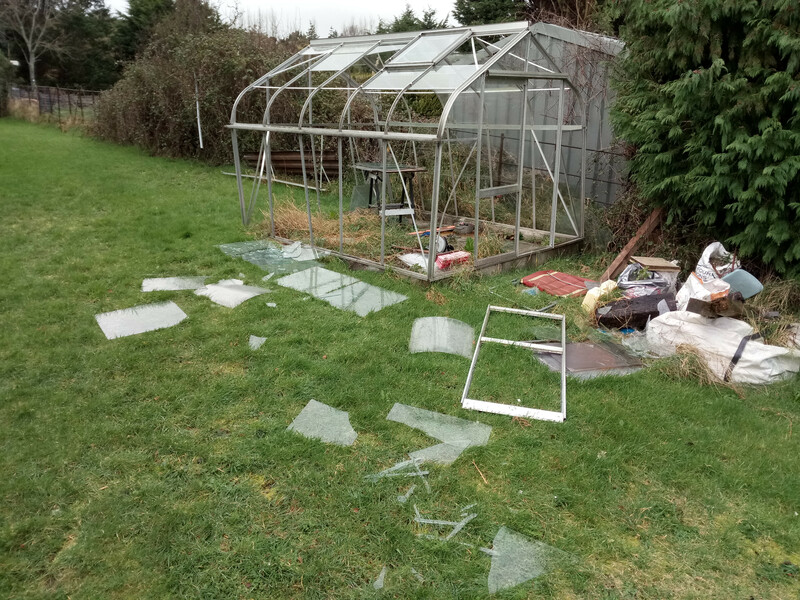 A friend lost all his greenhouse's plastic panels to high winds. It is very disheartening for you, but I'm glad you are not giving up - and you are not rambling - you are thinking out loud. Hi there cravings. You dont give up easily, do you? More power to you! 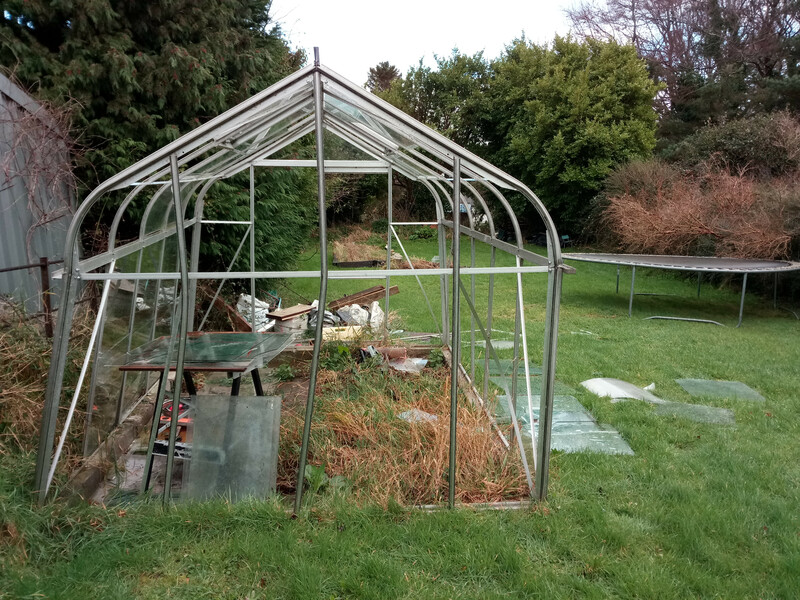 I hope you can get the greenhouse frame straightened well enough. Are you just going to use the polycarbonate on the curved sections? About the shredding: would it be worth hiring an industrial one like tree surgeons use, on e you have enough stuff.